Articles Kid Galahad and Jordan Gill help Kickstart ITV Boxing! Kid Galahad and Jordan Gill help Kickstart ITV Boxing! The landscape of UK boxing has been shifted into a new era as ITV boxing have launched their new Box Office channel, showing their biggest commitment to the sport in 20 years. It all kicks off on Saturday 4th February with Chris Eubank Jr. heading the bill in his first world-title fight against IBO champion Renold Quinlan. Despite being criticised by many within the boxing community, this is the start of something huge. Promoted by Poxon Sports, boxing will be hitting a bigger target audience and have better accessibility, meaning ITV could be bringing the world’s biggest fights to our shores. It is also a great opportunity for upcoming professional boxers to get more exposure to progress their career. Fortunately for Boxing Science, we are supporting two Ingle Gym boxers that are able to take advantage. 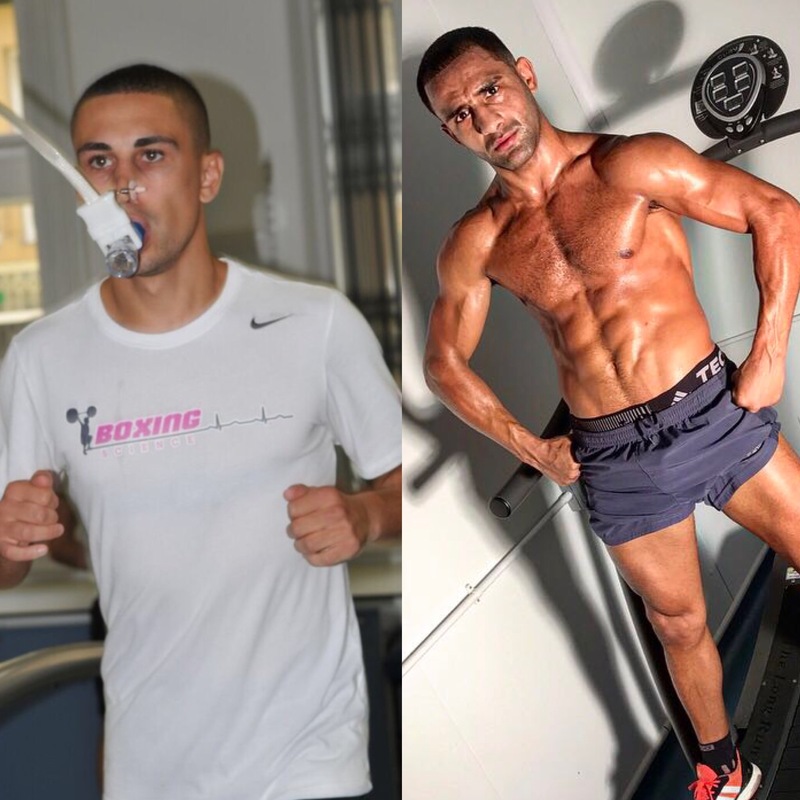 Kid Galahad and Jordan Gill will be introduced to the ITV format on Eubank’s undercard on the 4th of February. The lads have been working hard in the gym under Dominic Ingle, and smart in the labs, and are ready to put on a show to a new boxing audience. Boxing just the once made 2016 a frustrating year for the young featherweight, but now he is preparing for a massive, and potentially career defining opportunity. Jordan’s stayed in fantastic shape over the past 10 months, making great improvements technically and physically. He’s stronger, more explosive and feeling fitter than ever, and is eager to soothe his itchy knuckles in the ring on Saturday 4th February. Gill, 22, shouldn’t show any signs of ring rust as he has been sharpening his tools in high quality sparring. As well as trading blows with his Ingle Gym stablemates, Jordan has sparred British bantamweight Ryan Burnett, Super-bantamweight world title challenger Gavin Mcdonnell, and IBF Featherweight World Champion Lee Selby. Jordan enjoying spars with Burnett (top left) Selby (top right) and of course, Kid Galahad. Jordan will be sharing the undercard with his training partner Kid Galahad, someone he has looked up to since visiting the gym as a teenager. Barry Awad, aka Kid Galahad, is set to take on a new challenge in his boxing career by stepping up a weight division and will now be campaigning at Featherweight. After tasting British, Commonwealth and European success at super-bantamweight, Barry wants to achieve his world title ambition at 126 lbs. Galahad faces former world champion Joseph Agbeko in an international contest on the packed undercard. Like his gym-mate Jordan, Barry has been taking part in our intense sport science program, as well as sparring with world champion Lee Selby. His comeback in 2016 saw three comfortable TKO victories at various catchment weights, but now Barry is ready for an assault on the featherweight world-scene and eager to move up the rankings. Catch Barry and Jordan in action on February 4th. Boxing Science are privileged to be a part of both Barry’s and Jordan’s career’s, especially at this exciting stage. Ring walk times and channels are unconfirmed at the moment, but if you are keen to see these young talents in action leave your details below and we will keep you updated.